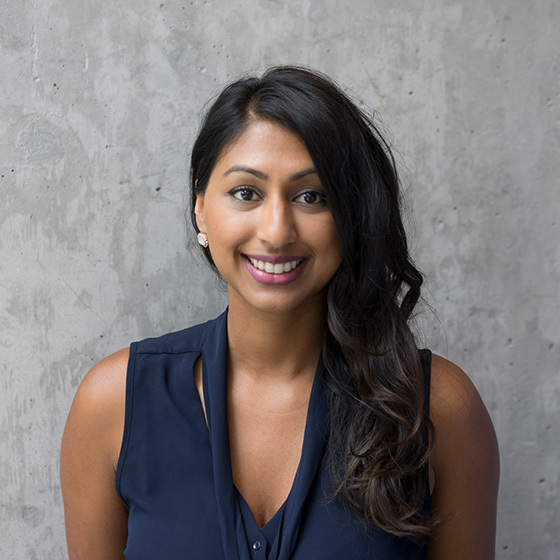 Shivani Goyal is the Lead, Strategy & Research at eHealth Innovation at University Health Network, and Assistant Professor at the Institute of Health Policy, Management, and Evaluation at University of Toronto. Driven by the overwhelming prevalence of chronic illness and the need to revolutionize the traditional models for health care delivery, Shivani is exploring how consumer-focused approaches can enable patients to drive their own care. This involves expanding health care beyond hospital and clinics, and evolving traditional consumer markets (e.g. Pharmacies), communities, even our own homes, to be facilitators of improved health. Through public-private partnerships, Shivani’s goal is to move eHealth research from bench to the hands of patients, through the co-development of innovative, robust and scalable models of health care delivery. Shivani holds a PhD in Biomedical Engineering, from the University of Toronto. Her thesis was focused on the design and evaluation of a behavioural mobile application for the self-management of diabetes. She also holds a Masters in Biomedical Engineering from Université de Montréal, and a Bachelors of Mechanical Engineering from Concordia, with a specializing in aerospace engineering.